Want to enjoy a Sunday afternoon, get some exercise, tour some new neighborhoods and help deserving young people learn a trade and earn a bike? You can do all of the above a few days from now. 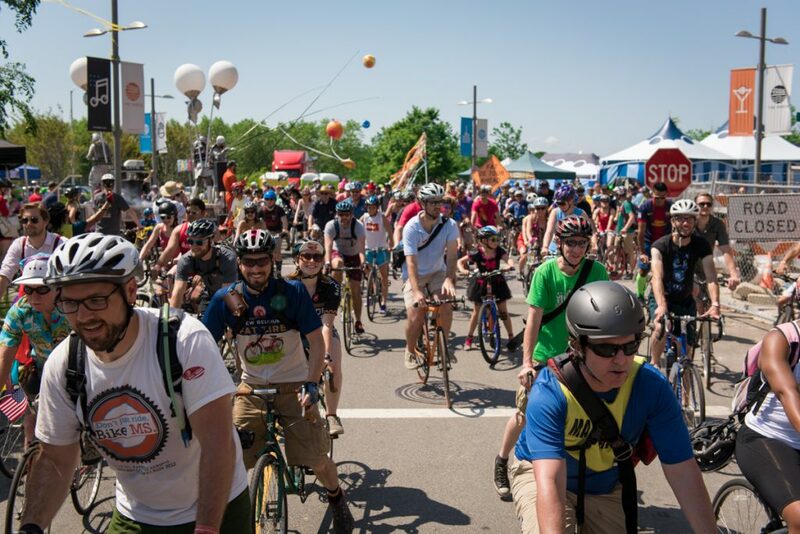 On July 19, New Belgium Brewing, makers of Fat Tire Ale — along with its partners Gearin’ Up Bicycles and Phoenix Bikes — present the DC Sunshine Ride. It’s a unique opportunity to ride through NoMa and Brookland while benefiting some great causes. Riders will be treated to a tour, public art happenings, and pop-up food sellers showcasing what’s best in Northeast DC. The ride kicks off with a 2 p.m. registration at Gearin’ Up Bicycles and ends at the Post-Cycle Soiree at Union Market, starting at 4. With your ticket, you’ll get one complimentary New Belgium Beer, but don’t stop there — be sure to try Suburbia’s fancy beer cocktails crafted with New Belgium’s Pear Ginger Beer and 1554 Black Lager. You can also shoot your own video at the Bicycle Pledge Booth, take home some New Belgium swag, and get discounts on eats and beer pairings from vendors inside Union Market. The Post-Cycle Soiree is open to all, but you’ll want to register for the ride to get all the goodies, and PoPville readers receive 15% off ticket price by entering the promo code “PoPville2015.” Best of all, proceeds from ticket sales will directly support Gearin’ Up Bicycle’s Earn-A-Bike program that helps kids in underserved DC communities. New Belgium Brewing is also partnering with Phoenix Bikes on the NOVA Sunshine Ride, August 16th. Register for NOVA Sunshine Ride, here.